We all want to live longer while looking younger and defy our gravity and any signs of aging as much as we can. We can age, but you know, just do it a lot slower. One thing that everyone on earth can agree on is that. A huge part of this process is living a healthy life and treating your body with many antioxidants. Personally, I am not against the next best thing to make me feel confident and healthy, so I am always open to trying new anti-aging products, lotions and potions. 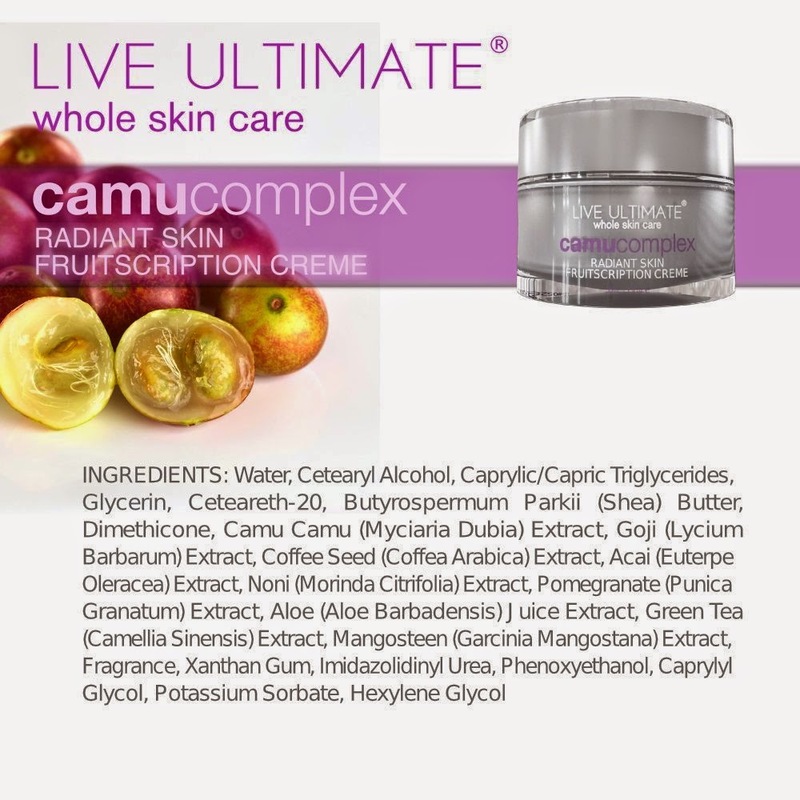 Live Ultimate is a company that carries several products that tend to those that wish to live healthier lives. Within these products are ingredients that will nourish your skin and your body. This is a sponsored informational post for Live Ultimate. All opinions are my own. 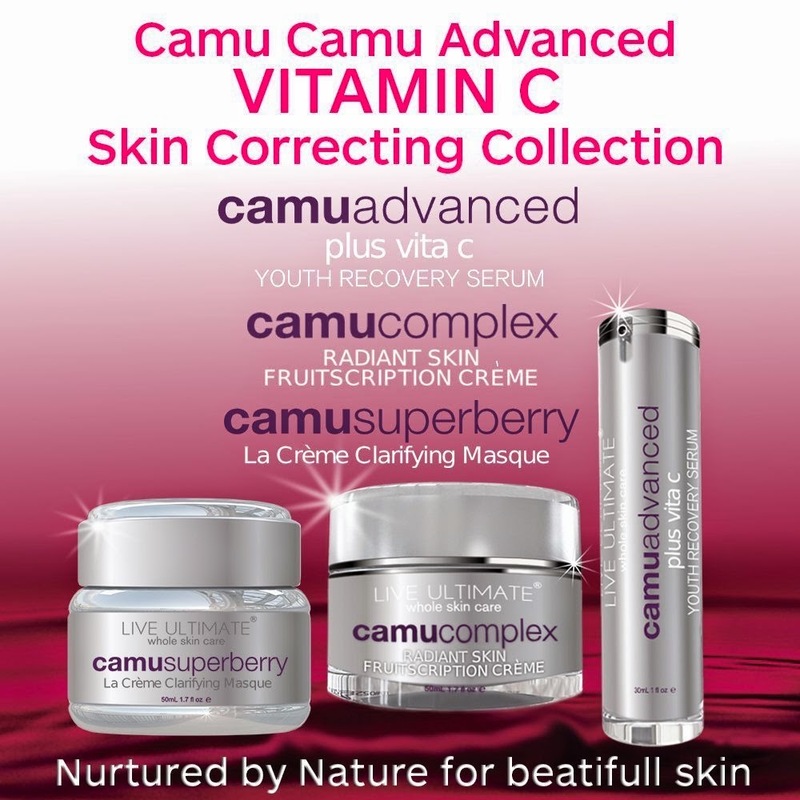 Live Ultimate carries a line called The Camu Camu Advanced Vitamin C skin correcting collection, which is made with Camu Camu and a variety of skin quenching antioxidants and Vitamins. Of the most important being Vitamin C. The Camu Camu boasts 60 times more Vitamin C than an orange. The Vitamin contained in here is all natural, whereas most other creams and serums provide synthetic Vitamin C.
Vitamin C is all over the place on the market right now and for good reason. It has been time tested and proven with results when it comes to anti aging and overall skin rejuvenation. Let's take a look at all the replenishing ingredients and what they can do for you. The ingredients at the top of the list are usually the most potent in the product and there are lots of goodies for you skin that I can see. We have Shea butter, which is a very emollient moisturizer, that blends in fast without a greasy feeling. There are a ton of antioxidant extracts, such as Green Tea, Coffee Seed, Goji, Acai, mangosteen, Pomegranate. 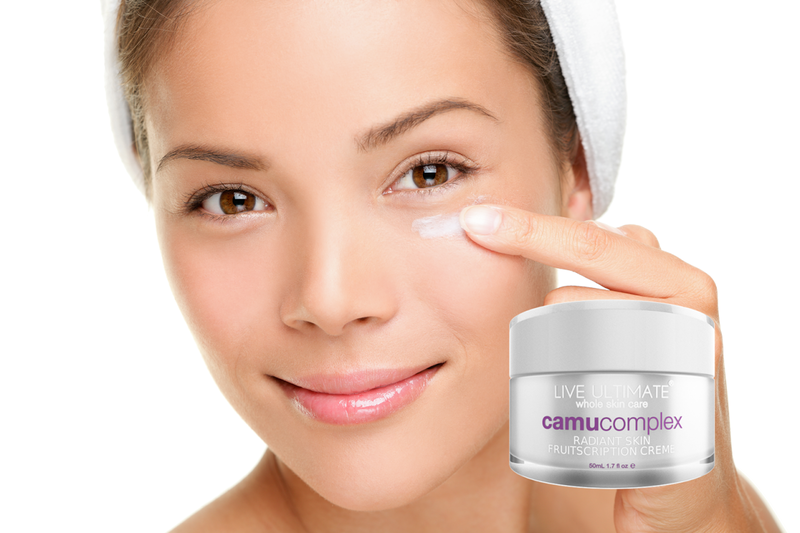 These are there to help treat damage from free radicals that cause pre-mature aging and to prevent them. Aloe juice extract is great for sensitive skin as well. All these ingredients contain essential Vitamins that our skin drinks up for a more youthful appearance. Vitamin A and E promotes healthy skin collagen and elasticity, Vitamin C is a powerful rejuvenater and antioxidant and Vitamin F from the shea butter, which revitalizes skin and contains 3 essential fatty acids. The Camu camu is the most boastful ingredient, with it's powerful Vitamin C component, filled with amino acids and anti-inflammatory properties. This trio of anti-aging fighters claims to deeply condition and soften skin while providing the appearance of lifting and firming. It seems promising and worth a try for the low price they offer it at on Amazon. Given the ingredient list, I see nothing that would be potentially irritating to most skin types. Worth a shot!